Filmmaker Dani Alvarado is one of many women who say a professional meeting with James Toback devolved into the writer-director making humiliating sexual advances. But she may be the first woman to make a film recounting the experience. Numerous attempts to reach Toback for comment were unsuccessful. Alvarado said her encounter with Toback took place in 2011, when she was struggling to get her foot in the door in the movie business. She said Toback approached her on a New York City street and offered her a role. 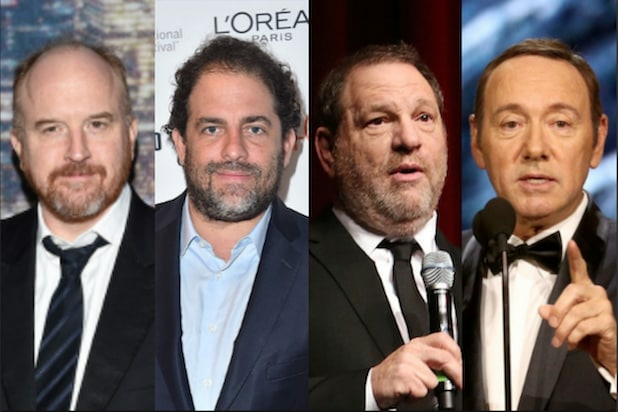 As detailed by the Los Angeles Times, more than 200 women have accused Toback of sexual misconduct, and many said he took a similar approach. “He followed me to my apartment and said, ‘I’m a director, I’m a writer, and I have to work with you,’ and invited me to meet him at the Harvard Club,” Alvarado told TheWrap. She was suspicious, but decided to meet with Toback to see if it could lead to an opportunity, she said. Alvarado went with her sister to meet Toback, where he said he wanted to get into her psyche so he could write a role for her, she said. Alvarado and Toback met again outside his apartment, and he said he forgot his wallet and asked her if she could come up with him, she said. The opening scene in “Lost Beneath The Stars” follows what happened next almost precisely, she said. In the clip, an aspiring actress played by Alvarado finds herself with a director in a darkly lit apartment. He makes sexual advances, and she asks if she can just read for the role, and he refuses. Those were also Toback’s words, Alvarado said. Alvarado said she told Toback she decided to decline the role and hailed a taxi. She said the director jumped in the cab with her, it drove off with both of them as he kept talking. The Los Angeles Times broke the first stories of Toback accusers just two days after Alvarado’s “Lost Beneath The Stars” debuted in Warsaw, Poland. Alvarado said she never saw James Toback again, but upon reading the news coverage of his multiplying list of accusers, which now surpasses 200, according to the L.A. Times, she said she had a mix of emotions: sadness for the women, and relief that she was able to distance herself from him. But most of all, she was surprised at how much her encounter matched the ones she read in the story, as if Toback had a script for preying on women.